They say there ain’t no gangsta like The President. 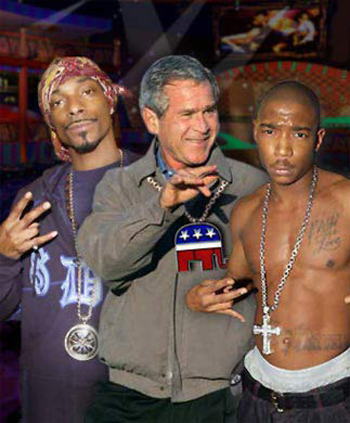 The picture says it all, George Bush with Snoop Dogg and Ja Rule, living it up OG style. Give us a short caption for the picture above. Funniest one wins!